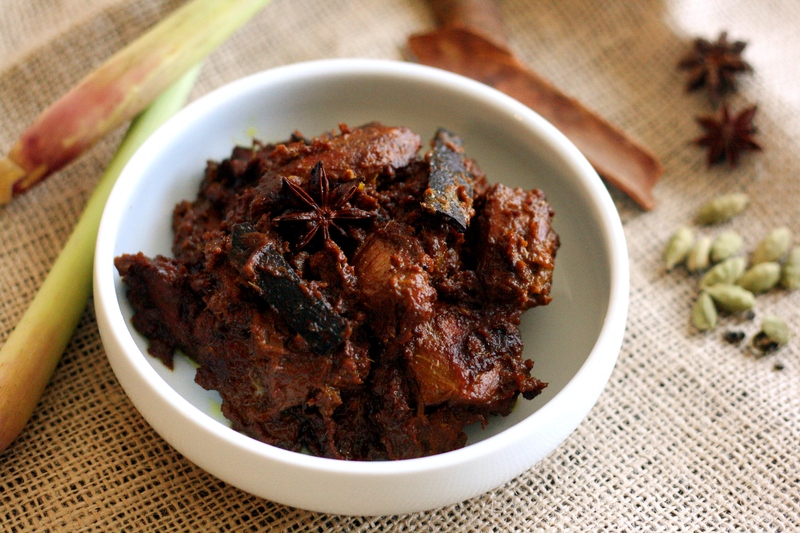 Rendang. Where should I start about my love for Rendang. I am not exaggerating when I say that this is the best stuff I ever had. It was at a restaurant in Chapel Hill when we were living in North Carolina. Not knowing what it would even look like when I ordered, I was swooning when the waiter brought that aromatic dish to our table. I knew I would love it as I could smell Star Anise and then some lemongrass and hints of Kaffir lime leaves. How can a mix of some of the best aromatics in the world not taste good? And boy was I right or what?!? It was out-of-the-world-fabulous-that-I-will-come-back-to-this-restaurant-again-and-again-just-for-this-stuff-even-if-I-have-to-drive-60-miles-from-Greensboro-to-Chapel Hill good! And that is exactly what we did until something went wrong. I think the chef quit…because it did not taste the same. The first time it didn’t taste right, we thought it was a bad day for the Chef. But the next time it was not good again. I mean it was not bad, but did not taste right…it did not taste slow cooked enough to absorb the rich aroma of the spices and develop that silky smooth texture from cooking shallots to death for 2 hours in coconut milk. So I frantically searched the internet, my dust-collecting collection of cookbooks. And many references pointed to Cradle of Flavor. I used some intuition and slightly altered the recipe and finally came up with something that perfectly balanced my preferences. Simply put, it was d.i.v.i.n.e. My quest for perfect Rendang thus ended, and a happy ending that is. I even wanted to give my recipe to the Chef at the restaurant, but my husband discouraged that as we still planned to go to that restaurant for other good stuff! It involves some unusual ingredients although I have noted appropriate substitutes, except for lemongrass…I don’t know if there is any substitute for lemongrass at all. Be prepared to slow cook this for about 2 hours….or you will miss out on the best,which is the heavenly aroma wafting your house (and the neighborhood!) and the intensely flavored and most tender chicken. Yes, I said tender…even after cooking it for so long. I know it goes against the conventional knowledge that cooking meat too much makes it tough. But my experience is different, which is also attested by this recipe. I think all the slow cooking makes it wonderfully flavored through and through yet keeps it incredibly tender. This is the same technique my mom uses in making her fabulous chicken curry. I make enough Rendang for 2-3 meals because it tastes even better the next day. Now if you divide the total time to cook by total number of servings…it is not that long at all… see? * 2-3 dried red chillies yielded a medium-hot Rendang, although the heat mellowed down a bit when left over night…and tasted even better. If you prefer it milder cut back on the chillies. 1) Make the flavoring paste by pulsing lemongrass, garlic, turmeric, galangal/ginger, shallots, chillies and 2 lime leaves (if using) in a small food processor or blender. 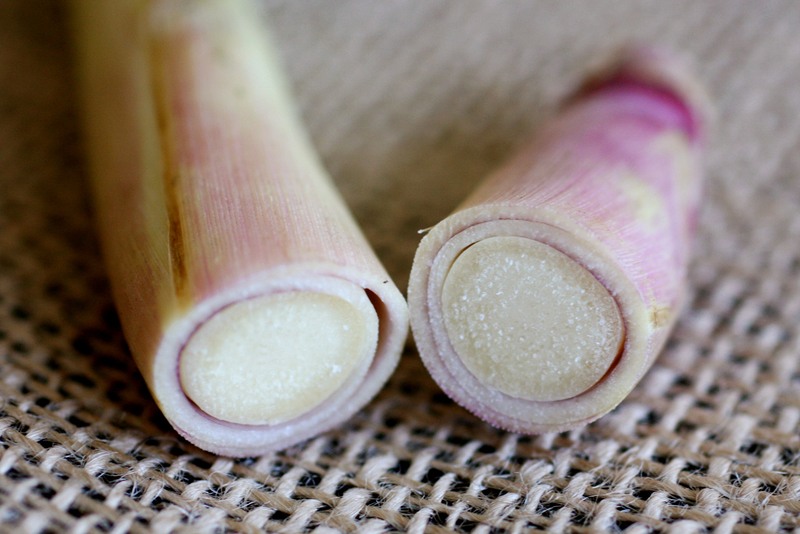 If needed add 1-2 tbsp of water to pulse until all ingredients including the lemongrass are well pureed. 3) In a non-stick skillet (choose a wide and shallow skillet for best results), heat the oil on medium heat. 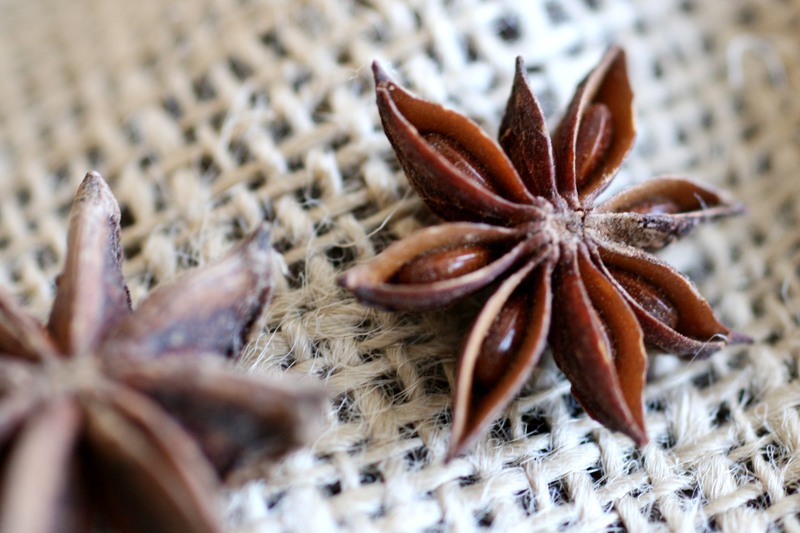 Once hot add whole cinnamon, star anise and cardamom and saute until their combined fragrance wafts around, about 2 minutes. You ‘ll get a preview of what your dish will be tasting like when done!! 4) Now add the flavoring paste and saute while stirring constantly until the raw smell of the garlic disappears, about 5 minutes. 5) Add the coconut milk, sugar, tamarind and salt and bring to a gentle boil and simmer it to reduce the coconut milk to one fourth the original quantity, while stirring frequently. 6) Add the dark soy sauce for a richer color of the end product and adjust salt to taste. 7) Now add the chicken and combine well with the coconut milk and simmer it on low heat for about 1 hour while stirring once every 10-15 minutes to prevent chicken from sticking to the bottom and to coat the spice mixture all around. 8) By now the juices in the pan would have been almost gone. Further simmer until the chicken turns a rich golden brown and is barely moist, in about 10-15 minutes. 9) Transfer the dish to to serving bowl, garnish with lime leaves and allow to rest until just above room temperature. Serve with cooked jasmine rice and sliced cucumbers for a cool crunch. This entry was posted in Recipes and tagged Cardamom, Cinnamon, Exotic, Lemongrass, Star Anise. Bookmark the permalink. Oh my lord, I love rendang and that looks exquisite. So rich and deep and decadent. Great photos too by the way! This sounds really wonderful! And I’ve got (almost) all the ingredients in my home and know where to find the rest. I will have to try this. Yay, Susan!! You will not be disappointed. Just the smells are rewarding enough. Awesome! Love rendang. 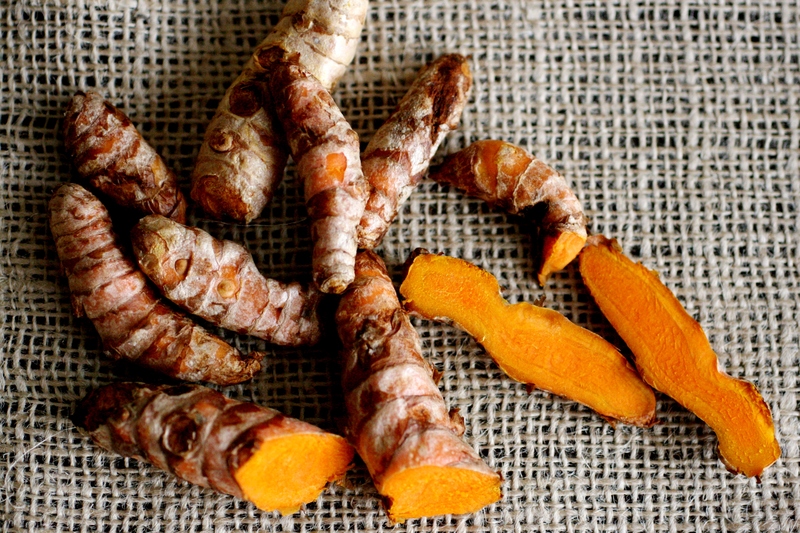 Kudos for using fresh turmeric. I love rendang! Thanks for sharing the recipe – can’t wait to try it. ps- your photos are great! Thanks, Saucy Tomatoes! I am sure you’ll enjoy it. We are making this for dinner tonight… and wondering what to serve with it? Just rice? We are a family of six, and my American sensibilities say we need more than curry and rice for dinner. Thoughts would be appreciated! Erin, I have seen this usually served with hard boiled eggs, cucumber slices and dried anchovies that are deep fried. We like it with quartered hard boiled eggs topped with sambal (chilli-garlic paste) or just plain boiled eggs. Another excellent side I can think of are blanched longbeans (you can use regular green beans) tossed in a bit of fish sauce (or sambal) and grated ginger. On occassion we also had it with a crisp lettuce salad drizzled with dressing made with an equal mix of soy sauce, fish sauce and a pinch of brown sugar. Let me know what worked for you. I am excited you are trying this! Does this recipe call for black or green cardamom pods? My grocery has both, and I don’t know the difference! Marisa, use Green Cardamom pods in Rendang. Green cardamom has a milder flavor where as Black cardamom pods are more pungent and suitable for flavoring spicy Indian curries and rices. Enjoy!! Made this amazing dish last weekend and am again making it for dinner tonight. Beautiful recipe and very simple. Will return to it time and again, cheers!! Tried this in the slow cooker! Followed recipe to point 6 before transferring to slow cooker and cooked on high for 3 hours, although for last hour I removed lid to get rid of juice. I must say. Your recipe is excellent and perfectly balanced for spice and flavour. Well done! Slow cooker!! Thats a great idea. Next time I am going to try that way. Glad you like it. I am not really sure about pressure cooker for this. I do use pressure cooker to cook meats, lentils and everything under the sun, but this dish needs slow cooking…either open flame or in a slow cooker as another commenter said. If you want to use your pressure cooker more, stay tuned as I use it to make most of my cooking…its my best friend–just did not think anyone else would be interested in pressure cooking 🙂 From here on, I will add a note on that.